Move in by 4/30/19 and Receive $200 off Your Admin Fee! Select Apartments Only. Call for Details. Find your perfect fit at Rivers Pointe in one of our pet friendly one, two, or three-bedroom apartments for rent in Liverpool, NY. With apartments ranging in size from a 797 square foot one bedroom all the way up to a 1,479 square foot three bedroom with attached garage, we have a floor plan to suit your needs. If you’re seeking the finest finishes, look no further than Rivers Pointe. From elegant, 9’ ceilings and open floor plans to large walk-in closets, Rivers Pointe has the amenities you want. 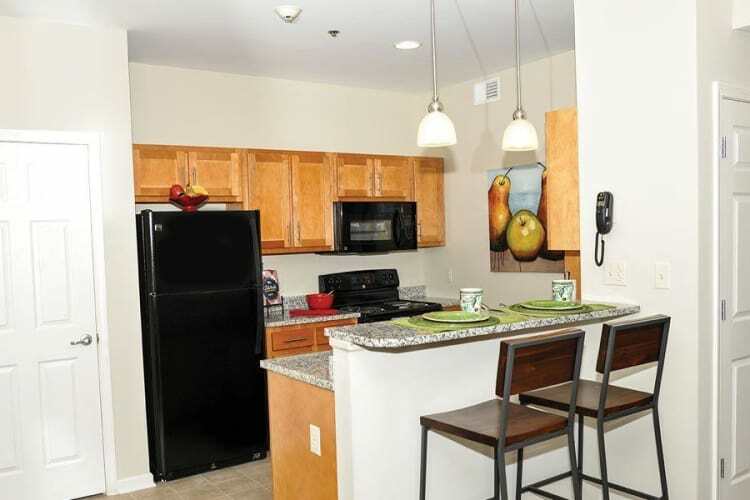 Whip up a gourmet meal in your fully equipped kitchen before relaxing in your spacious living room. If you’re seeking space, select Rivers Pointe apartments come with two bathrooms or an attached garage. 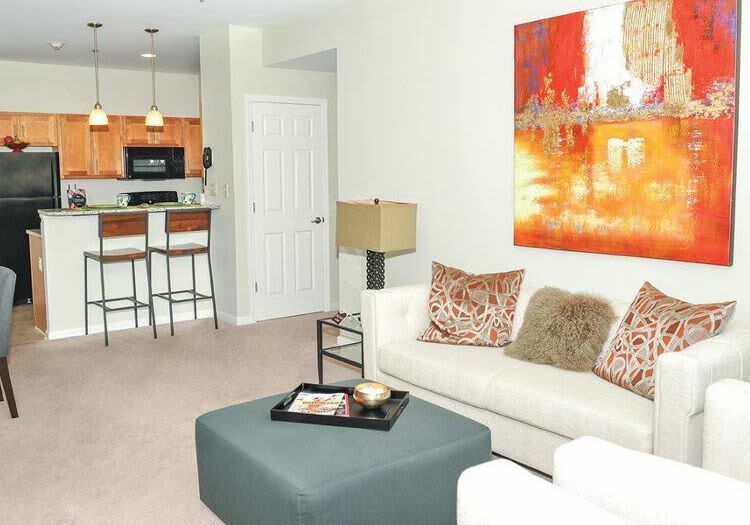 Ready to see our stylish floor plans in person? Contact Rivers Pointe and our friendly leasing team will be happy to show you around and help you find your perfect home.